The Internet is fundamental to 21st century society. 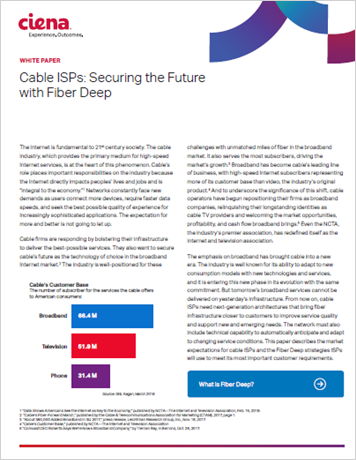 And the cable industry, which provides the primary medium for high-speed Internet services, is at the heart of this phenomenon. Cable's role places important responsibilities on the industry because the Internet directly impacts lives, jobs and the economy. People are also constantly placing new demands on networks as they connect more devices, require faster and faster data speeds, and seek the best possible quality of experience for increasingly sophisticated applications. The expectation for more and better is not going to let up. This paper explores the growing importance of the Internet to MSOs and offers steps for how to fortify the quality, performance, and speed of broadband services.